Waterkeeper is a global movement to protect our waterways. 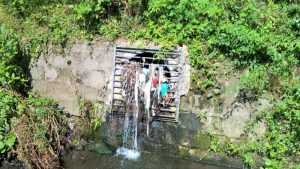 ELF was contacted by the London Waterkeeper, concerned over the lack of action being taken by Tfl and the Environment Agency (EA) regarding diffuse pollution occurring in London’s waterways caused by the activities of Tfl. This case was sent to the ELF university network, University of Law, London and had a team of students working on this matter. A letter of advice was sent to various ELF network members including Sue Willman at Deighton Pierce Glynn who has agreed to act in a strategic advisory role going forward. ELF will continue working with the London Waterkeeper and communities identified as suffering over issues concerning pollution in London.